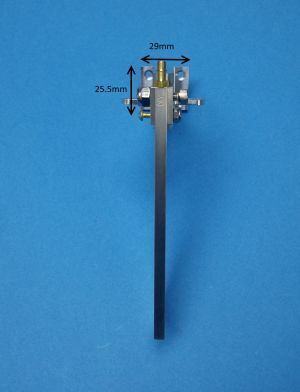 The Speedmaster Small Extended Dual Pickup Rudder assembly. 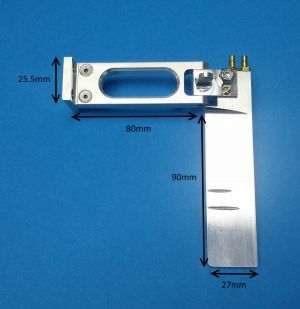 Made of high quality aluminum, CNC cut to tight tolerances. 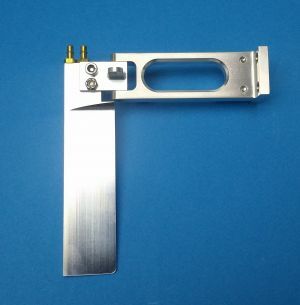 The rudder features a built in water pickup and a break away brass screw in the rudder bracket to help minimize damage from the blade hitting a object while driving. Comes with basic mounting screws. These are available with either a "T" bracket (pictured) or Angled style bracket.